Director – Alfred Hitchcock, Screenplay – Sally Benson, Alma Reville & Thornton Wilder, Story – Gordon McDonnell, Producer – Jack H. Skirball, Photography (b&w) – Joseph Valentine, Music – Dimitri Tiomkin, Music Director – Charles Previn, Art Direction – John B. Goodman. Production Company – Skirball Productions/Universal. In Santa Rosa, California, Charlie Newton is bored and wishes that her namesake, her favourite uncle Charlie Oakley, would come to enliven things. At exactly the same time, they receive a telegram that Uncle Charlie is arriving. Once there, Charlie begins to develop increasing suspicions that Uncle Charlie may be a man being hunted by the police, nicknamed the Merry Widow Killer, who slaughters widows for their money. Alfred Hitchcock (1899-1980) is considered one of the great directors of the Twentieth Century. Hitchcock’s name found its stride around the time of The 39 Steps (1935) and kept going until it peaked with Psycho (1960) – a twenty-year period that was an extraordinary career high. Shadow of a Doubt, made during this time, is often considered one of Hitchcock’s best, although in this author’s opinion is not quite up there with the classics. As with many of Hitchcock’s films of the 1940s, it tends to be constructed around its set-pieces. It also doesn’t have the gruelling finish-to-finish intensity that Hitchcock masterworks like Suspicion (1941), Saboteur (1942), Notorious (1946) and Rear Window (1954) do, nor the macabre and darkly psychological obsessiveness of films like Strangers on a Train (1951), Vertigo (1958) and Psycho. Maybe what causes Shadow of a Doubt to fall just a few millimetres short of being a great Hitchcock film is its lack of ambiguity. Despite the title, there is no real ‘shadow of doubt’ about Joseph Cotten’s sinister nature from the outset. 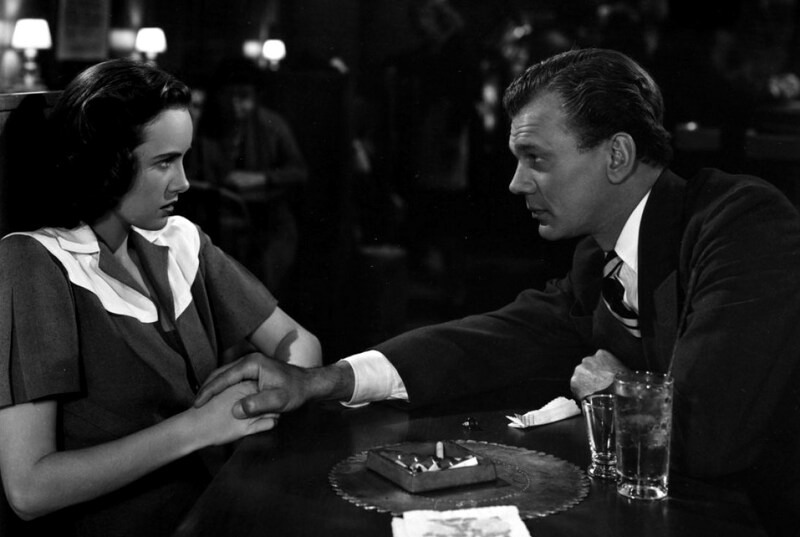 The film is merely one about Teresa Wright dealing with an uncle who is a killer, rather than a film that exists in the mind of a girl who is not sure whether her uncle is a sinister killer or not. The latter approach would have made for a far greater film. Nevertheless, lesser Hitchcock is still better than many other director’s best. Edna May Wolcott as the steely Ann also proves a considerable scene-stealer whenever she is on screen. Alfred Hitchcock’s other films of genre interest are:– The Lodger: A Story of the London Fog (1927), Elstree Calling (1930), Rope (1948), Strangers on a Train (1951), Vertigo (1958), Psycho (1960), The Birds (1963) and Frenzy (1972). Hitchcock also produced, introduced and occasionally directed the anthology tv series Alfred Hitchcock Presents (1955-62). Hitchcock’s life is depicted in the films The Girl (2012) and Hitchcock (2012).